Guillermo Del Toro's romantic fantasy thriller 'The Shape of Water' is proving that interspecies love can work as the film has been collected some early awards. A new international trailer has been released. 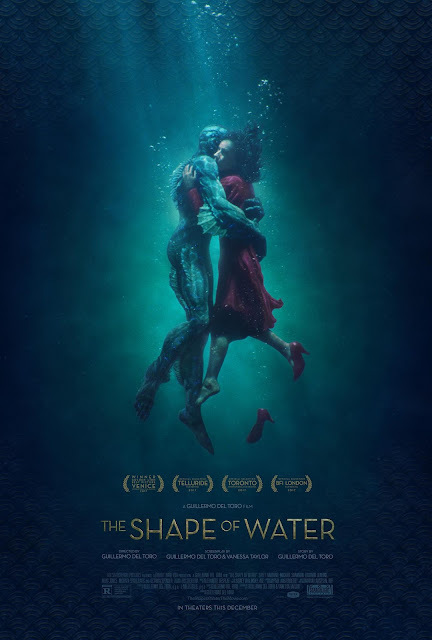 'The Shape of Water' tells the story of Elisa, a mute and isolated woman, who works as a cleaning lady in a hidden, high-security government laboratory in 1962 Baltimore. Her life changes forever when she discovers the lab's classified secret -- a mysterious, scaled creature from South America that lives in a water tank. As Elisa develops a unique bond with her new friend, she soon learns that its fate and very survival lies in the hands of a hostile government agent and a marine biologist. "The most welcome and notable thing about The Shape of Water is its generosity of spirit, which extends beyond the central couple." "A ravishing, eccentric auteur's imagining, spilling artistry, empathy and sensuality from every open pore." "THE SHAPE OF WATER best encapsulates the awe-inducing wonder only the best cinematic escapes can bring." - Courtney Howard, Sassy Mama in L.A. The Shape of Water opens Dec. 1.